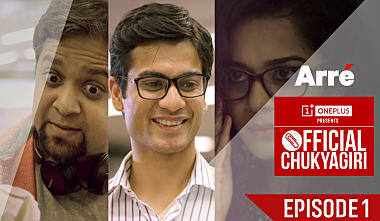 Just as things get better for Spandan at work, his personal life takes a turn for the worse. Spandan has to make a critical choice. What will it be? Spandan faces a dilemma and has to make a difficult choice. Episode 3 of Official Chukyagiri goes live tomorrow, October 5. From the sets of #OfficialChukyagiri - It's Spandan v/s Mili in a game of darts. Who do you think wins? Lots of fun, planning, and hard work. Hear it from none other than Anand Tiwari.